I measured the Base Audio G12s using a G.R.A.S. Model 43AG ear/cheek simulator/RA0402 ear simulator, a Clio 10 FW audio analyzer, a laptop computer running TrueRTA software with an M-Audio MobilePre USB audio interface and a Musical Fidelity V-CAN amp, and an Audio-gd NFB-1AMP for the distortion measurements. On the Model 43AG I used the original KB0065 simulated pinna for most measurements, as well as the new KB5000 pinna for certain measurements, as noted. These are “flat” measurements; no diffuse-field or free-field compensation curve was employed. 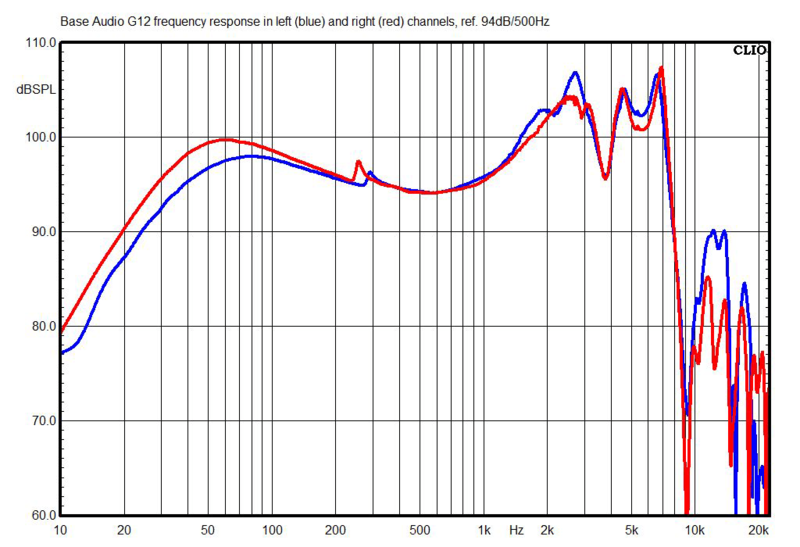 The above chart shows the G12s’ frequency response with their standard earpads installed. This is a nearly by-the-book response for headphones, with response peaks centered at approximately 2.6 and 5.5kHz, a response generally considered to deliver a sound close to that of speakers in a room. What’s unusual is that the treble is a bit elevated relative to the bass, which corresponds with our listening impressions. 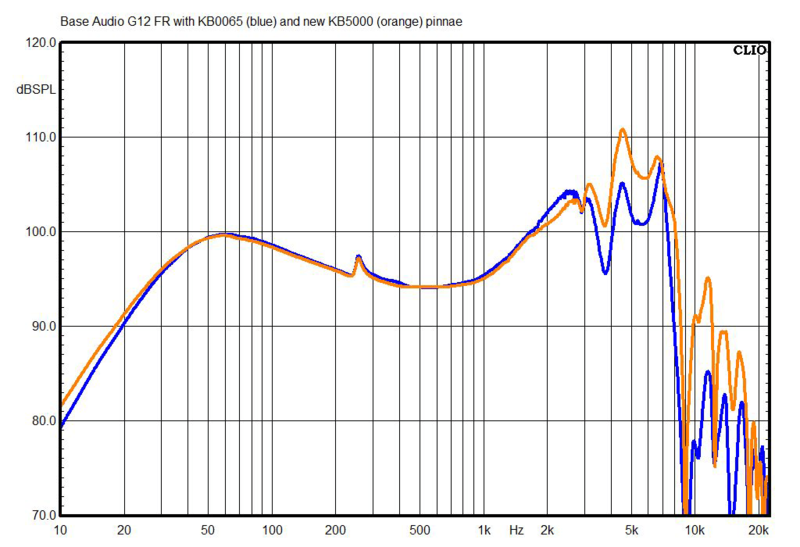 This chart shows the G12s’ right-channel frequency response measured with the old KB0065 pinna (which I’ve used for years) and G.R.A.S.’s new KB5000 pinna, which I’ll be switching to because it more accurately reflects the structure and pliability of the human ear. I include this mostly for future reference rather than as something you should draw conclusions from; I intend to show both measurements in every review until I completely switch to the new pinna. Here you can see how the G12s’ tonal balance changes when they’re used with a high-impedance source, such as a cheap laptop or some cheap professional headphone amps. 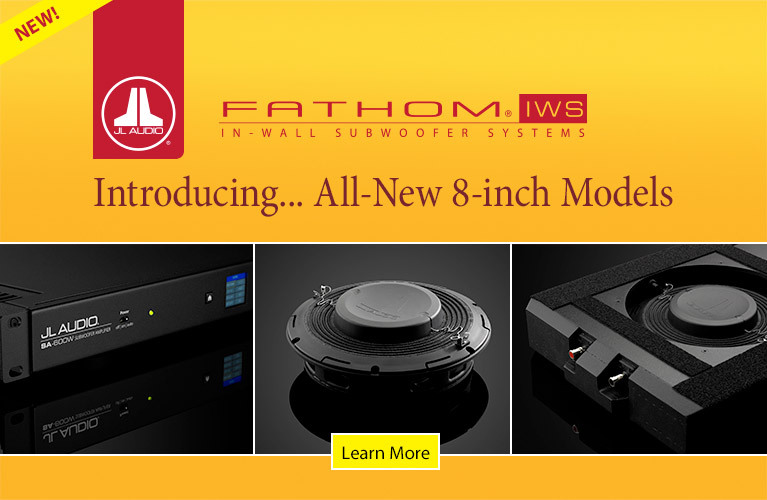 Turns out they’ll have a little more bass with high-impedance sources -- they might actually sound better with a cheap laptop! 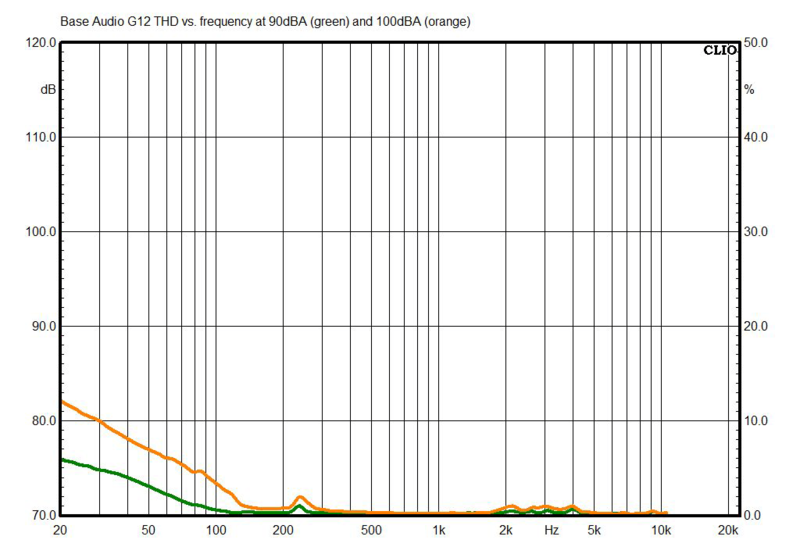 This chart shows the G12s’ right-channel response compared with those of two modestly priced open-back headphone models, the Monoprice M650 and HiFiMan HE400i, as well as Grado Labs’ RS2e. (The Grados cost $495, but I wanted to include measurements of a Grado model, and this was the only one I had on hand.) 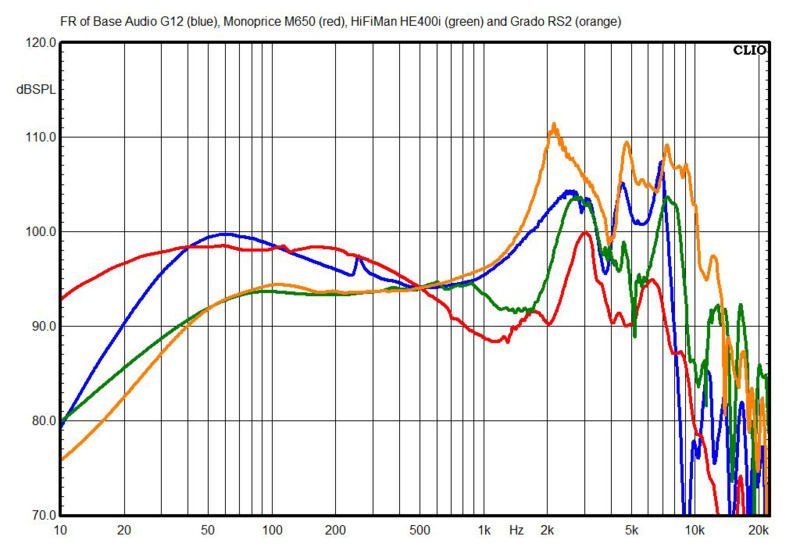 The G12s are clearly more trebly than the M650s but, according to the measurements, slightly less trebly than the HE400i’s, and much less trebly than the RS2e’s. 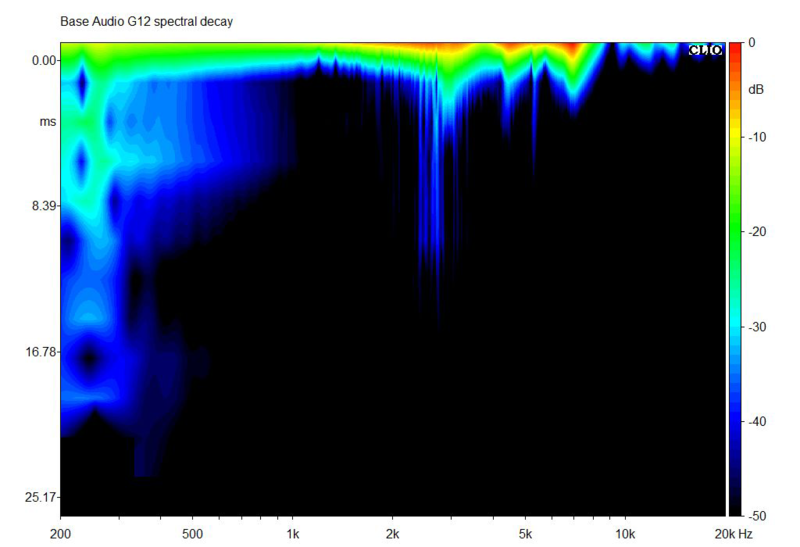 The G12s’ spectral-decay (waterfall) chart shows a little bit of resonance that corresponds with the response peaks in the upper mids and treble, but they’re well damped. 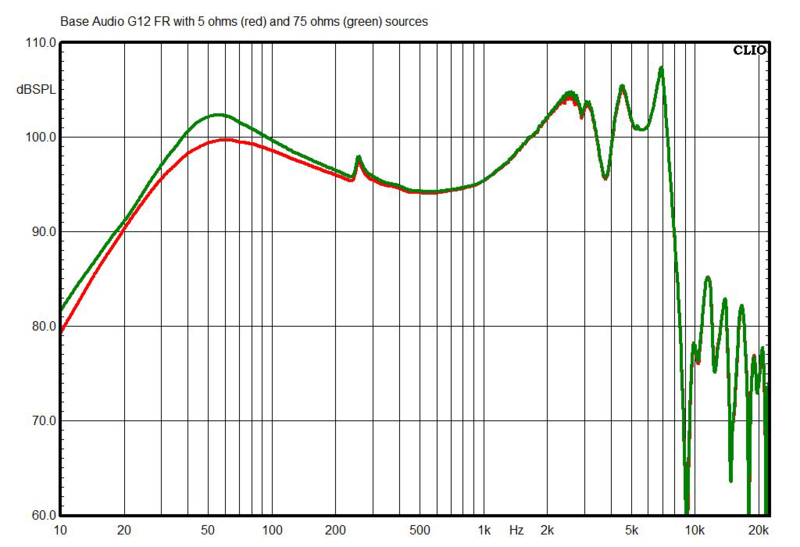 Though the measured total harmonic distortion (THD) of the G12s is negligible above 130Hz, it’s a little on the high side below that, though none of the listeners noticed any distortion in their tests. In this chart, the external noise level is 85dB SPL; the numbers below that indicate the degree of attenuation of outside sounds. 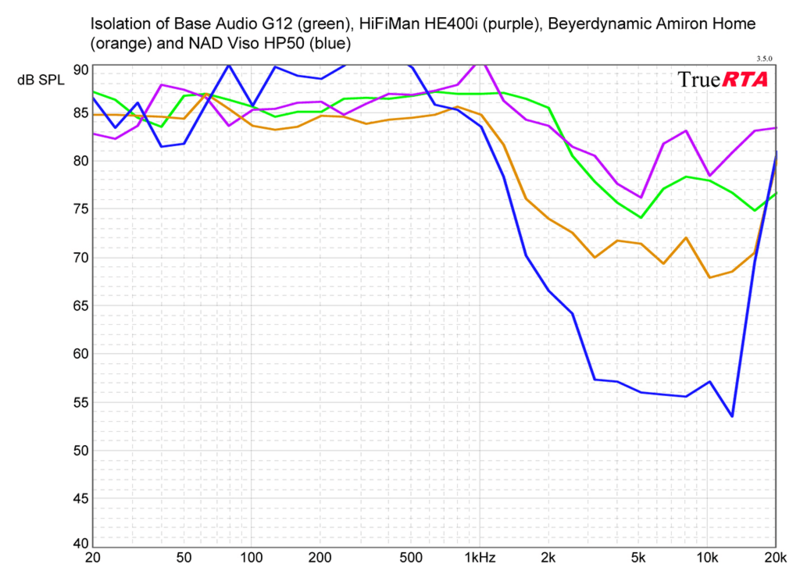 The G12s’ isolation is about average for open-back headphones: a little better than the HiFiMan HE400i’s, not quite as good as the Beyerdynamic Amiron Homes. 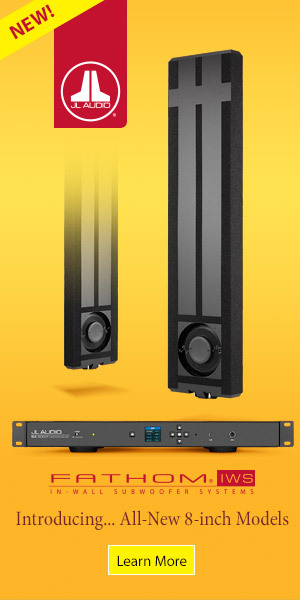 If you want better isolation, you’ll need to get a closed-back model such as the NAD Viso HP50s, also shown here. 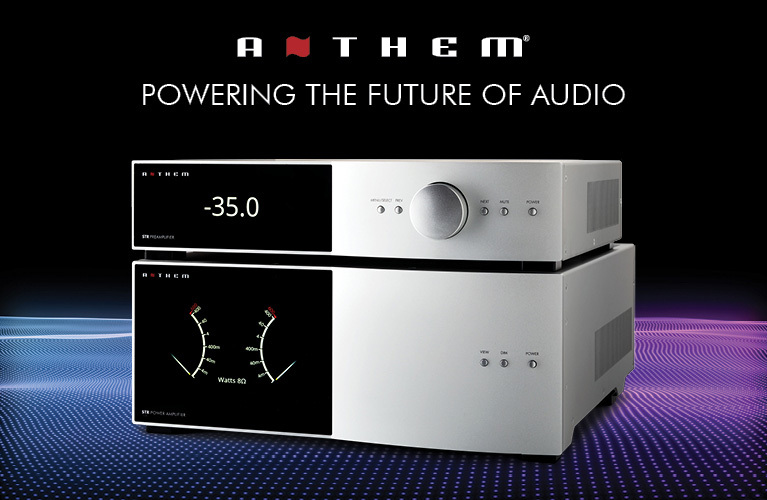 The G12s’ impedance runs about 19 ohms, except in the region around 55Hz, where it rises to 31 ohms. This corresponds with the difference I measured in the 5 vs. 75-ohm sources. 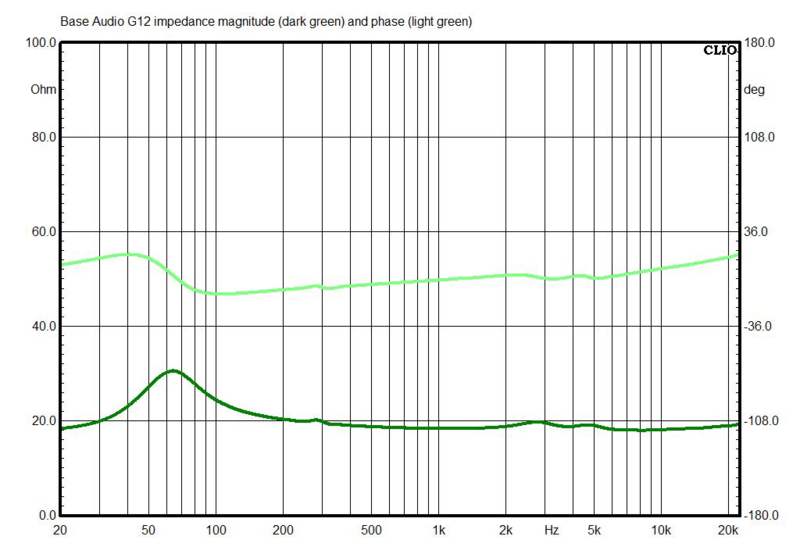 The phase response is generally flat, except for a mild flip at the frequency of the impedance peak. 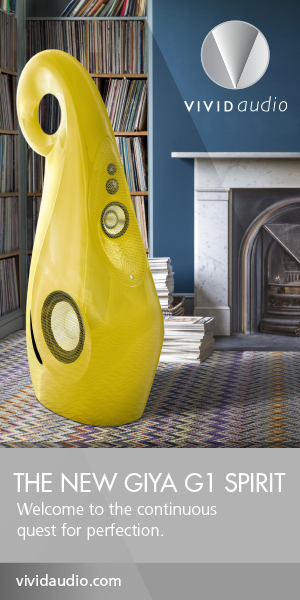 The sensitivity of the G12s, measured between 300Hz and 3kHz with the leatherette earpads and using a 1mW signal calculated for the rated 32 ohms impedance, is 99.4dB. That’s reasonably high for audiophile-oriented headphones; you should get good volume from the G12s with practically any source component.